This machine suitable for precision printing a variety of materials plane products , such as Metal, glass, ceramic, plastic, wood, leather and other materials. Widely used in: electronics, advertising, packaging, printing, sports equipment, toys, stationery, gifts and other industries. Such as PCB, LCD, EL, IC, SMT, etc. Meanwhile, the machine is also suitable for other precision printing, stickers, ceramic flower paper, membrane switch (button), posters, automotive glass, instrumentation, building plaques, nameplates, billboards and other signs. 1. PLC control, easy to operate, accurate and reliable. 2. It consists of four counters. 3. The Body parts are die-cast aluminum, very durable. 4. The scraping, independent power backing ink, and with a separate precision Trimming travel and speed device. 6. Up and down long travel design in case of easy handling the workpieces. 8. Setting up the Rotary station, easy to pick and place the workpiece. Looking for ideal Plane Screen Printer with Conveyor Manufacturer & supplier ? We have a wide selection at great prices to help you get creative. All the 6 Printing Stations Screen Printer are quality guaranteed. 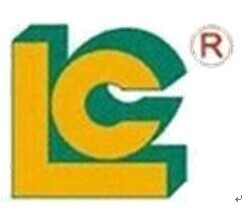 We are China Origin Factory of PLC Control Screen Printing Machine. If you have any question, please feel free to contact us.